Prominent & Leading 100% Export Oriented Unit from Jaipur, we offer dyed ruby beads, ruby spinel beads, ruby red spinel beads, natural blue sapphire beads, natural emerald beads and dyed emerald beads. 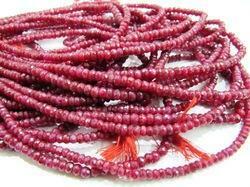 We bring forth for our clients attractive Dyed Ruby Beads as per their specific preferences. These products can be availed from us at highly competitive price range. Women of all age groups love to wear these products for their attractive red colour and perfect sheen. 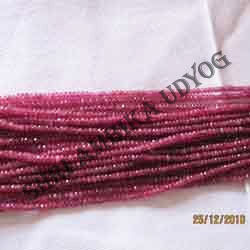 Moreover, these ruby beads are known to enhance the feminine appeal of the wearer. Packaging Details: Shipment: 5-7 days after receipt the full payment Length: 16 inches approx. Weight : 70 cts approx. 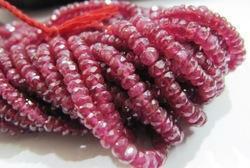 We are known to provide an exclusive collection of Ruby Spinel Beads to the clients. These beads are made available to the clients in a variety of designs, patterns, finishes, cuts, styles and other specifications, these beads are ideally used to embellish various jewellery items. Moreover, customisation facility is offered by us to the clients. Gorgeously lush and beautiful red spinel rondelles.. an exceptionally rare treat!!! Very vibrant and stunning shade of lush medium to deeper raspberry red..
We supply Red Spinel Faceted and plain Beads super fine quality at very reasonable rates. 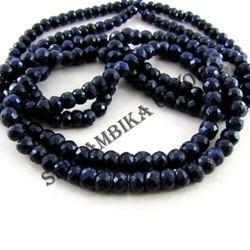 Spinel Beads are of exclusive quality. We manufacture red Spinel in all the shapes and sizes. We also call it Ruby Spinel. 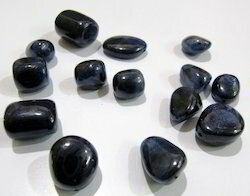 We are one of the most trusted names in trading and supplying of Blue Sapphire Beads Natural which are well polished and have been given a sound finishing touch. Our sapphire have an outstanding demand throughout the jewelry industry.We supply the same in various shapes and sizes.We have different graded beads available as per the requirement of client. 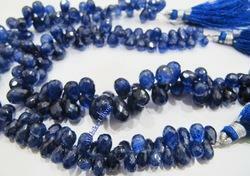 These are Corundum Sapphire Beads. 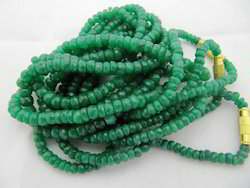 We are one of the most trusted names in trading and supplying of Dyed Emerald Beads which are well polished and have been given a sound finishing touch. Our material have an outstanding demand throughout the jewelry industry.We supply the same in various shapes and sizes.We have different graded beads available as per the requirement of client. 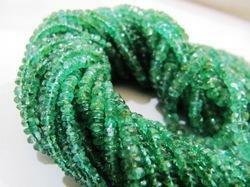 This Listing is meant for AAA Quality Emerald Dyed Faceted Bead String. 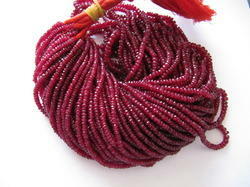 This Listing is meant for AAA Quality Ruby Faceted Drops Strand - Dyed Bead String. 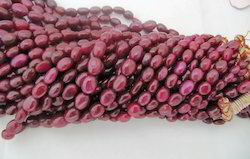 We are one of the most trusted names in trading and supplying of Dyed Ruby Beads which are well polished and have been given a sound finishing touch. Our material have an outstanding demand throughout the jewelry industry.We supply the same in various shapes and sizes.We have different graded beads available as per the requirement of client. 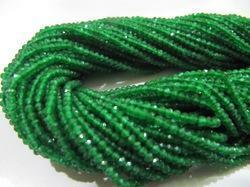 These are Smooth Plain Rondelle Beads. Bright Red Color. 2. This necklace is made with Ruby Rondelle faceted Beads. With Gold Plated Lobestar. 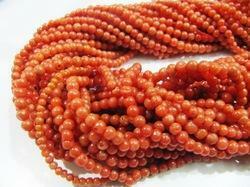 We are coveted manufacturer, supplier and exporter of a wide range of Coral Beads. These coral beads are designed using the finest quality raw material, which is procured from the reliable vendors of the market. Our team of skilled artisans and designers is well-verse with the latest trends of the market and design the entire range of coral beads accordingly. Clients can avail these coral beads in traditional, ethnic and modern designs. Offering BIG DISCOUNTS for such a good quality beads. These are best value for Money. Assure you for the lowest Rates. 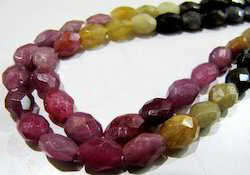 These are Natural Corundum Ruby Dyed beads . 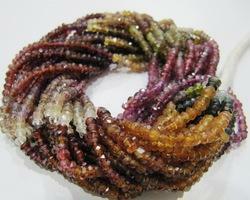 These are Natural Corundum Dyed beads . Other Details: 1. This necklace is bold and simple. You can wear it with Formals and casuals, with cute weekend dresses, or it will also look great with a linen shirt or dress. 2. 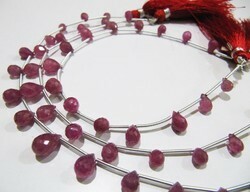 This necklace is made with Ruby Rondelle faceted Beads. With Gold Plated Lobestar. 3. 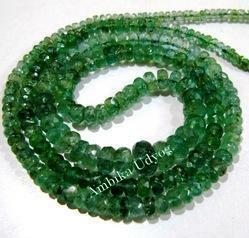 Measures 16" to17 " long stone size 3.5 to 4.5mm 4. Handmade 5.Save on shipping when you order more than one item from my shop. 6.Custom orders welcome. Let me know if you want a different length or colors. Contact me for larger orders. Very Good Transparency and Cutting. 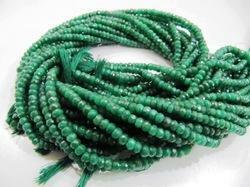 These are Best Quality Natural Emerald beads, Best value for money. Amazing quality at the best price around!!! Bulk wholesale orders are welcome on any items in my shop, convo me for pricing information. International can take 1-6 weeks depending on the country & customs. International Priority shipping & International Express shipping upgrades available upon checkout. 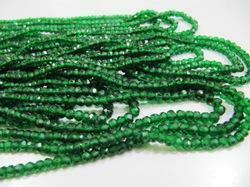 Super Fine Top Quality Fancy Emerald Beads 2 mm / Beautiful Round Faceted Lab Created Emerald Gemstone Beads / 14 inches long Strand. 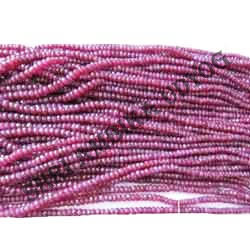 Beautiful Natural Ruby Corundum Rondelle Faceted Beads , Far Size Beads 6 to 8mm , Strand 8 inch long , Ruby Gemstone Beads , Precious Beads. 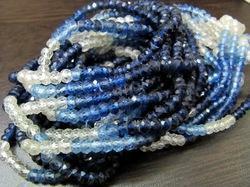 Best Quality Blue Sapphire Beads 6 to 8mm / Rondelle faceted Strands 8 inches long / Hydrothermal Lab Created Sapphire Beads- Precious Beads. Top and Finest Quality Genuine Blue Sapphire Briolette Beads 5x7 to 8x11mm , Natural Blue Sapphire Oval Faceted Beads , Strand 8 inch long. Please Note: The size can be anywhere between the above mention range. 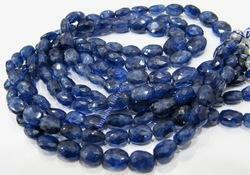 These are 100% Natural Sapphire Beads. High Quality Genuine Blue Sapphire Briolette Beads 4x6 to 6x9mm, Natural Blue Sapphire Teardrop Shape Beads, Sold per pack of 20 Loose Beads. AAA Best Quality Genuine Blue Sapphire Briolette Beads 6 to 10mm , Natural Blue Sapphire Heart Shape Beads , Strand 8 inches- Side Drilled. 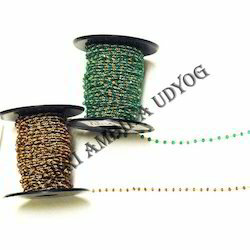 Approximately- 20 TO 25 BEADS PER STRAND. Pack of 10 Beads- Best Quality Blue Sapphire Nugget Beads 12 to 20mm / Natural Blue Sapphire Tumbled Beads / Precious Gemstone- Birth Stone. 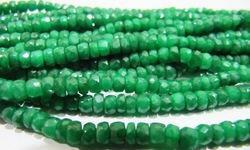 These are best Quality Natural precious Stone Beads . 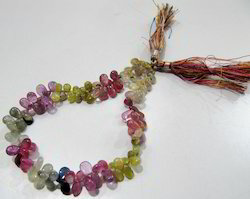 Sold Per Strand of 23 to 24 inches long. 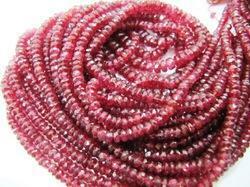 AAA Quality Natural Precious Ruby Tear Drop Briolette Beads, Ruby Sapphire Beads Size Approx 4x6mm To 7x10mm, Strand Length 8 Inches long. . These are 100 percent genuine ruby beads. There is no artificial color or dye. Each strand has around 25 beads. 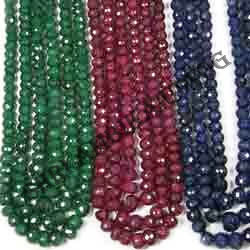 We are offering African Ruby Bead to the esteemed customers as per their requirements and preferences. Ruby is known to illuminate the emotional level of life. Moreover, ruby has the power to reveal the divine love in an efficient manner. The range of rubies offered by us reflects class and richness. Moreover, their attractive red appearance of adds charm to the personality of the wearer of the jewellery piece embedded with ruby. Weight : 35 cts approx. We have been widely appreciated in the market for our ability to offer an excellent range of Dyed Corundum Bead to the customers. These nicely cut dyed corundum are made available to the clients in green, blue and red colours. Moreover, these products are widely known to evoke a sensuous look, thus, are widely demanded by our clients worldwide. We are one of the most trusted names in trading and supplying of African Ruby Beads which are well polished and have been given a sound finishing touch. Our material have an outstanding demand throughout the jewelry industry.We supply the same in various shapes and sizes.We have different graded beads available as per the requirements of client. We are one of the most trusted names in trading and supplying of Longido Ruby Beads which are well polished and have been given a sound finishing touch. Our material have an outstanding demand throughout the jewelry industry.We supply the same in various shapes and sizes.We have different graded beads available as per the requirement of client. Precious Stones offeredcan be made available by us in different range of choices like corundum, cat's eye, star gem, black sapphire, opal, topaz and can be made available in both manual and machine cut finishes. Here, our expertise lies in offering these precious stones in best quality finish and in sizes of 3*4, 3*5, 4*6, 5*7, 5*8 and others. Some of its features include AAA quality; application suitability for necklace, pendant, earring, ring, bracelet; beautifully crafted finish; available in smooth polished finish; available to customers at very reasonable rates. Best Quality Natural Ruby Smooth Oval Beads , 6x7mm to 10x13mm , Strand 8 inch long , Ruby Plain Oval Gemstone , Precious Beads- Wholesale. 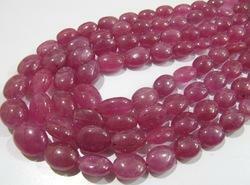 100 percent Genuine Ruby Beads . Best quality Most reasonable prices.